What does it mean to matter? What does it look like to matter? With the Black Lives Matter movement, questions of racial equity have ignited important—and difficult—conversations in communities and courtrooms, on political campaign trails, and at college campuses. Augsburg College Professor William “Bill” Green studies and writes about Minnesota history and law. He teaches U.S. Civil Rights subject matter, and he recently has been called upon to share his expertise on these topics to assist media outlets covering Black Lives Matter news in the Twin Cities. Green was quoted in a Minnesota Public Radio article that examined the roles non-black activists play in furthering the Black Lives Matter movement’s agenda. In the article, “Allies on the front lines: Black Lives Matter’s non-black activists,” Green used the history of the Civil Rights movement to analyze current demonstrations and protests. He also discussed the ways “protest fatigue” could impact the movement’s progression. On August 5, Green also appeared on Twin Cities Public Television’s “Almanac” program where he provided a comparison between contemporary protests or demonstrations and those occurring decades — perhaps even centuries — earlier. Green explained that the tactic of making a public display can be useful when a group is seeking to meet a particular goal. “The trick with the demonstrations, of course, is somehow helping society turn the corner so that … a community doesn’t feel the need to resort to desperate measures,” he said. The interview with cohosts Cathy Wurzer and Eric Eskola is available on the TPT website and begins at the 31:55 minute mark. 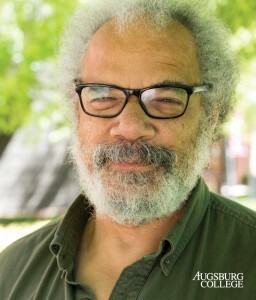 Green’s comprehensive knowledge of Minnesota history has been cultivated over decades, and his latest book, “Degrees of Freedom: The Origins of Civil Rights in Minnesota, 1865-1912” chronicles conditions for African-Americans in Minnesota in the half-century following the Civil War. The publication picks up where his previous book, “A Peculiar Imbalance: The Fall and Rise of Racial Equality in Minnesota, 1837-1869,” left off. Green spoke with MinnPost about the publication, describing his interest in state history. The Minnesota Book Awards honored Green and “Degrees of Freedom” with the 2016 Hognander Minnesota History Award.